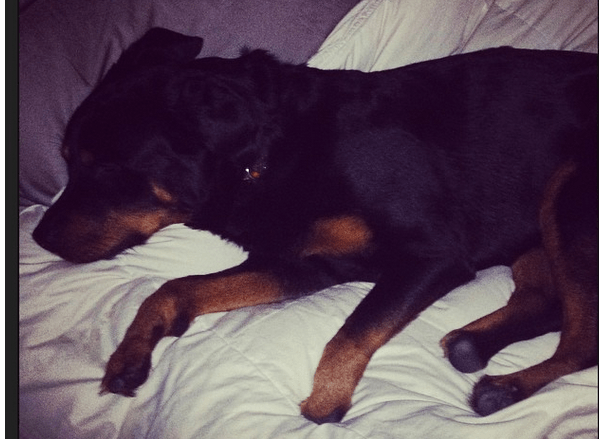 Brutus, an adorable Rottweiler crippled due to a little carelessness on the part of his breeder, can now walk, run and even hop again, thanks to the prosthetic limbs he recently got. 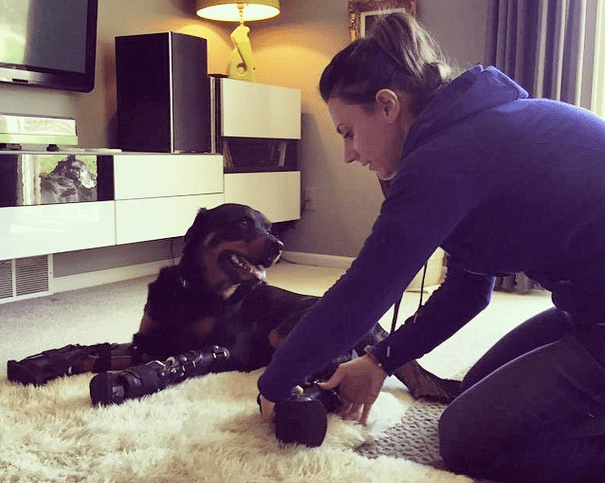 This makes Brutus only the second dog ever to walk with all four prosthetic limbs. A few weeks old Brutus was left outside in sub-zero temperature by his breeder. As a consequence, the young puppy got frostbite on all his four paws. He then tried to salvage the paws with an amputation carried out at home. The botched attempt left the pup completely maimed. 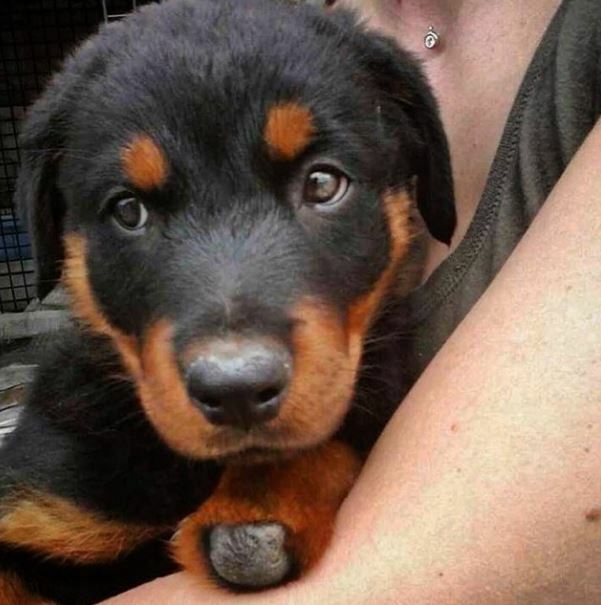 Left with only stumps, Brutus lived in constant pain and was unable to walk properly. Literally leading a dog’s life, the little creature could only watch others like him run, play and chase wistfully. The page helped Laura raise $12,500 needed to cover the cost of surgeries, prosthetics, and physical therapy before the dog could start moving about on his own. The dog was operated at James L. Voss Teaching Hospital at Colorado State University by Dr. Trent Gall. The operation involved removing bone fragments, dew claws and two toes left behind during the botched at-home amputation. 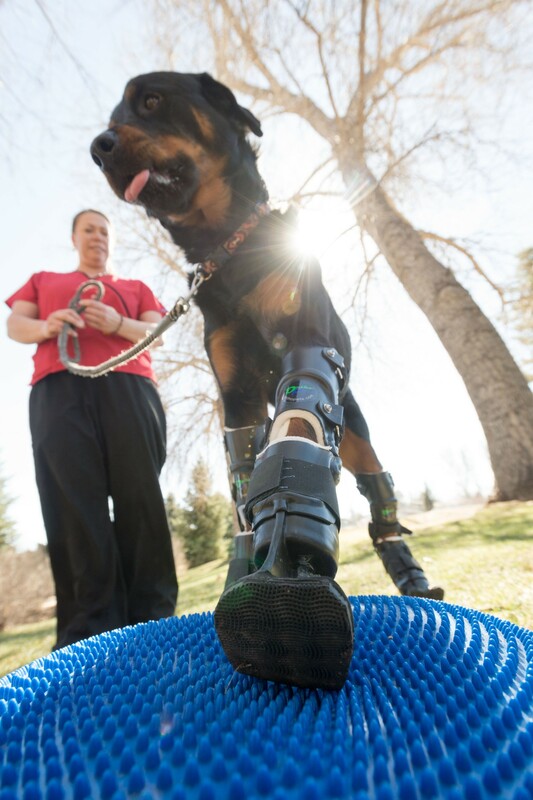 The prosthetic paws from Denver based OrthoPets have been made using the technology as needed for human orthotics. Martin Kaufmann, the co-founder of OrthoPets, likened Brutus’ case to that of Naki’o, the only other dog to have four prosthetic limbs. “We learned a lot from Naki’o’s story and were able to apply that knowledge to Brutus’ case,” he said. After the successful surgery, the dog is now learning to adjust to his new paws. They are designed to make Brutus’ limbs more comfortable, to support his front collapsed legs and to realign each of his limbs to be the same length. Brutus will also undergo underwater treadmill therapy, balance activities, exercise balls and other neuro re-education therapies before he can do that however. Have You Ever Seen A Kitten Be So Protective Over Its Food? This Is Too Funny!